Thousands of happy customers served. We are your furniture and sleep experts. Our team is ready to help you find the the best solution for your home whether it’s getting the right memory foam mattress, bed frame or dining set. We are a Canadian-owned family business and our founder has been in the industry for over 30 years. We have developed strong relationships with our customers. Thanks to many word of mouth referrals, we grew from one store to three locations in Vancouver, Richmond and Surrey. In addition to our physical stores, we can deliver any of our products to all Canadian provinces through our foam mattress online store. Do you want to sleep well throughout the night and alleviate your back pain? We love hearing many of our customers telling us they stopped having sore backs after using our memory foam mattress. 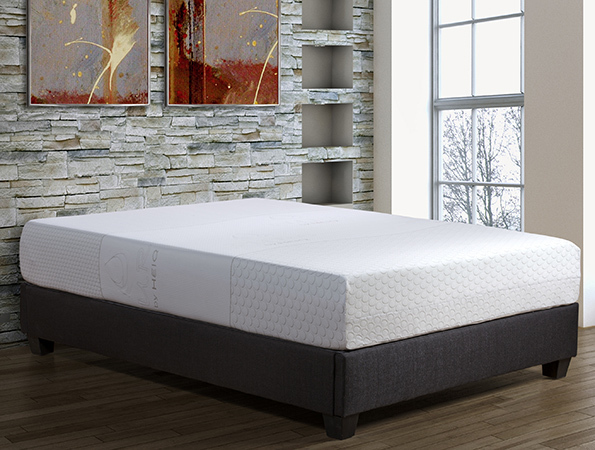 Our luxury Italian-made models integrate the latest gel memory foam mattress technology so your body will stay cool throughout the night and help you get a quality sleep. One of our customers from Burnaby had a back surgery and bought one of our memory foam mattresses. “I have suffered all these years with a stiff back. Since I bought [the mattress], I haven't had a stiff back or neck. I recommend this mattress to anyone who wakes up sore or stiff.” All of our staff are knowledgeable about back care and we can make the best recommendations to help you get the best sleep. Our selection of sofas and sofa beds are great if you love hosting family or friends whether you have a small or big home. If you live in a condo and want to host people from out of town, having a sofa bed will save you from buying a bed frame, memory foam mattress and box foundation. If you don’t need a fold out or roll out bed, our sectional sofas provide comfortable seating for your guests. Some of our sofas also have extra storage to help you use your home space more efficiently. A bed frame is the steel outline that provides proper support for a box foundation. We have two styles of bed frames: One has six legs with center support while the other style has four legs. Our sturdy, four and six-legged bed frames can be adjusted for a single, double, queen, king and California king size bed. 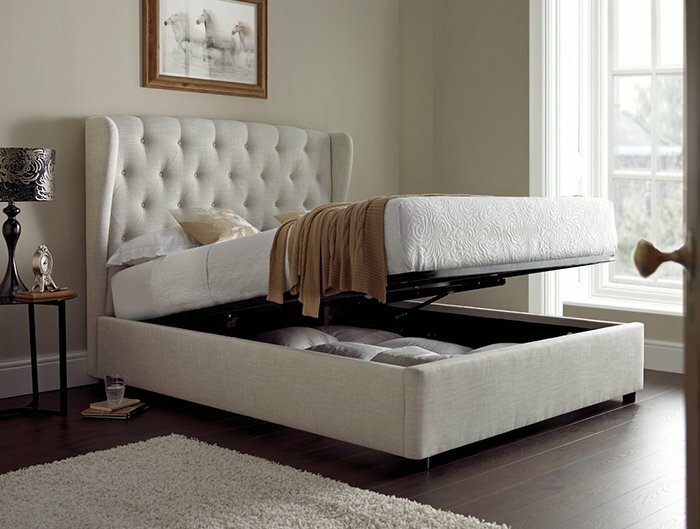 A bed frame extends the life of your mattress by providing support and preventing weak sagging spots. 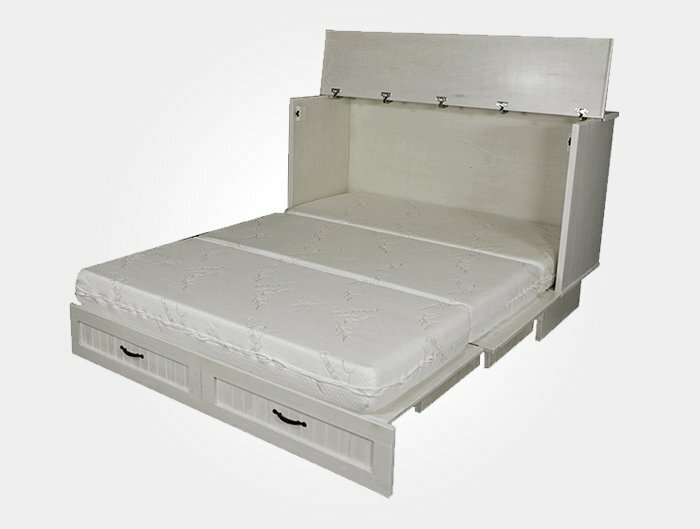 A gel memory foam mattress bed conveniently folds out of this cabinet and serves as another space-saving solution for your condo or smaller living space. This is also a cheaper option than a wall bed. It is made in BC with quality maple hardwood and maple plywood. A gel memory foam mattress has all of the same benefits as a traditional memory foam mattress with the added benefit of keeping you cool throughout the night. If you don’t want to use a box foundation and a separate bed frame, a platform bed is a great solution. These beds have a built-in support system where you would put your mattress. To choose the right bed for you, you can check out our beds to see if you prefer wood or metal platform bed. From there, you can choose among our fabric, metal, leather and wooden bed styles that would integrate well with your room. More and more people are either moving into modern condos or upgrading their homes to create a stylish look. You can complete your kitchen and living space with our selection of modern bar stools or full dining sets. Choose the styles that best match your home and our bar stools provide convenient seating for your guests to socialize. We look forward to meeting you! Whether you need help choosing the right memory foam mattress, bed frame or sofa bed, we are here to help.